The very much talked about phone lately that is coming as the best competition to the latest buzz phones like iPhone, Android G1 etc. 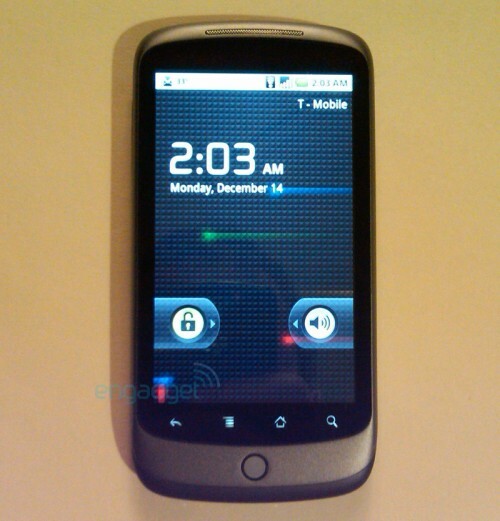 is the Google Nexus One phone. The AndroidGuys reports that the release date for the phone is going to be January 5th, 2010 which is not far away. Here’s the price: $199 unlocked in stores. $100 rebate online if you have an active and old Google account. That $100 rebate is either to buy it $99 online from Google’s online phone store, for using on Android Marketplace or for using on any Google Checkout stores. Can also be used for T-Mobile or AT&T pre-paid Data SIM card service at $29 per month, no contracts required. Google will push full VOIP usage on these, meaning no voice/sms plans needed at any carrier. Voice calls will go through Google Voice on Data SIM cards and will provide unlimited free voice calling. And SMS is replaced by unlimited free Gtalk. Finally, Google will provide easy roaming data services in other countries. For example, if you go to Europe, you can roam on HSDPA data networks for the same price of 20€ per month, and if you only stay in Europe for a few days you won’t need to pay for the whole month. You may not even need to change the SIM card. The Google Nexus One phone will run on Android 2.1 OS and is going to be a tough competitor to every other touchscreen and multimedia phone right now in the market. Keep watching for more news.